THE Council of EAST and Central Africa football Association (CECAFA) has taken a bold move to stage the CECAFA-Kagame club cup 2013 in Darfur and South Gordofan, it has now been confirmed. The regional body which stages its competitions regularly and enjoying the patronage of Rwanda President Paul Kagame will stage the event from June 18th to July 2nd. The Secretary General Secretary of CECAFA, Kenya’s Nicholas Musonye arrived in Khartoum April 25th, held meetings with Khartoum’s top leadership before proceeding to Darfur on 26th where he held lengthy discussions with the State Governor, his Ministers and UNAMID officials. The Meeting in El FASHER, North Darfur’s state capital hammered the best way to stage the event without any difficulties. The Kenyan official later flew to Kadugli in South Gordofan where he also held meetings with the State Governor the Ministers and the LOC which assured him of maximum security for the CECAFA delegations. The Central Government has given CECAFA the greenlight to engage with the two Governors to ensure that everything runs smoothly. Musonye explained that the patron of CECAFA, President Paul Kagame of Rwanda believes in peace and co-existence of all the people of East and Central Africa in general and Africa as a whole. Kagame has spent his personal fortune to anchor CECAFA for the past 12 years during which CECAFA has grown in stature. The Secretary General during the meetings in Darfur and South Gordofan, emphasised CECAFA’s commitment to strengthen regional unity and promote football in the region. He said he was happy with the excitement the Kagame cup has created in the two States which have never hosted any major event. He visited the Stadiia, hotels, training grounds and other facilities during his visit. QUE: Do you think teams and CECAFA delegations will attend the event? Musonye: why not? We have a full house. Before I visited Darfur and Gordofan, I was told that there is nothing there. But I am surprised that people lead normal lives in the two States. The Kagame cup will take place in Gordofan and Darfur. Take it from me. Who would want to missKagame Cup? QUE: You have been here for a week. Are you happy with the facilities? Musonye: I Was also surprised that Darfur has two big stadia while South Gordofan has one and they are constructing another multi million stadium that should be ready in early June. When I was planning my trip I was told don’t go to those areas… there is nothing..nothing. There are also hotels in both areas and Villas, some that you can not find in peaceful countries. Que: What motivated you to bring Kagame cup to these two States? Musonye- We want to promote football in our region as well as bring the youth of different back grounds together. You know the power of football and that is exactly what we are doing. We also want to engage our leaders to improve infrastructure across the region. You will be surprised what Kagame cup will do in the two States. Que: How have the people in the two Staes received the news? Musonye: I was happy that when I arrived in Sudan, every was talking about Kagame CECAFA Cup. And even some States in the South Sudan were asking for it. The interest is very high. Que: How will you handle the logistics? Musonye: CECAFA is a big organisation and everything will run smooth. We may only have difficulties from some of our members because they don’t read documents and may not even submit in some information when required. 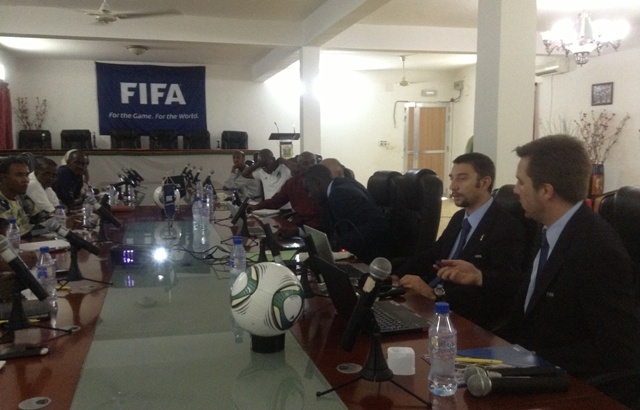 But for the SFA and CECAFA everything will be done smoothly. Que: You are talking of 12 countries. Don’t you think this is too much? Musonye: It is. But we have the capacity. We have organised these events before. We also have other clubs outside our region that want to join Kagame cup. We are still looking at it. Que: What message are you sending to Africa? 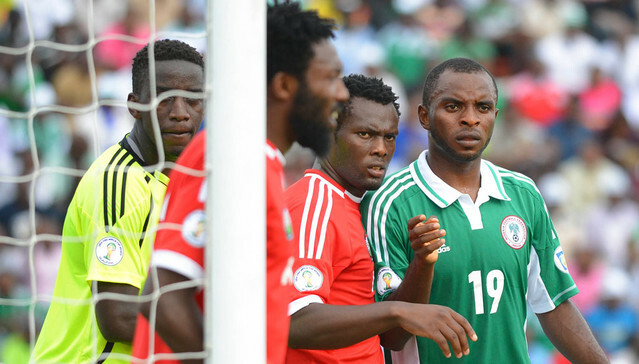 Musonye – We want to prove the world wrong. What you hear is not what is on the ground. It is a different story altogether. By CORRESPONDENT, in Khartoum >>> THE Sudan Government and its football association said on Wednesday it supported and were excited about an international soccer tournament being held in the unusual frontiers of North Darfur and South Kordofan states. Federal Minister of Youth and Sport, Sidique Mohamed Tom and Sudan Football Association President Dr Mutazim Jaffar, said hosting a two-week Cecafa [Council of East and Central African Football Associations] Kagame Club Cup competition in Al Fashir City [North Darfur] and Kadugli [South Kordofan] was unprecedented but it was a deliberate effort to use sport as a unifier in states that had seen long periods of war and lack of peace. A Cecafa inspection team was making its conclusions as to whether the Darfur and Kordofan were capable of hosting the Kagame Cup in Sudan between June 18 and July 2. The SFA and the Sudan government got the assurance that the tournament will indeed take place here and were told that another Cecafa team, including affiliate member delegates, would visit the venues in three weeks’ time to make sure all final preparations were in place. Dr Jaffar said SFA was firmly behind their affiliate football associations in North Darfur and South Kordofan in their efforts to improve football facilities such as stadiums. Cecafa approved two stadiums in Al Fashir City ready for the tournament and the council’s secretary general, Nicholas Musonye, said a 25,000 stadium yet to be completed in Kadugli was a showcase which federal governments in Africa should emulate in devolving the development of infrastructure to all corners of their countries.